TruFire PanicX – How to fix target panic? The TruFire PanicX release debuted with a lot of hype. 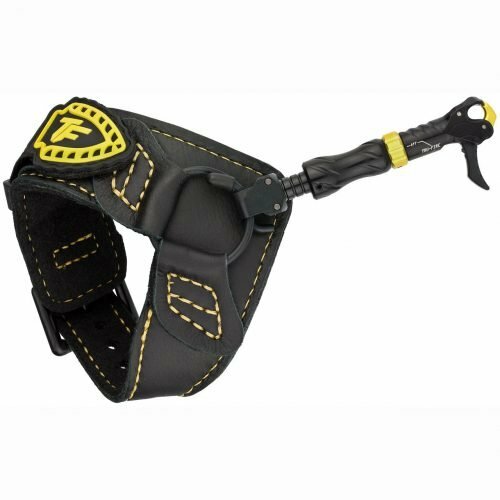 This radical shift in the wrist-strap release market is designed to keep you from punching the trigger! Admit it, you’re a trigger puncher just like I am but you’ve always wanted to change your bad habits. Well, consider this $116.66 release an investment in the right direction! ru-Fire’s Panic-X Release trains you to squeeze the trigger rather than slap or punch it. Once you’ve got that down, you can turn off the training function and use the Panic-X like any other release. Features 100% capture hook design, forward trigger, length adjustment and trigger-travel adjustment. Trap tab allows you to put the release on and take it off with just one hand. Fold-back feature moves the release head out of the way, so you can focus on glassing or rattling, plus you can move the head back into place with little movement.